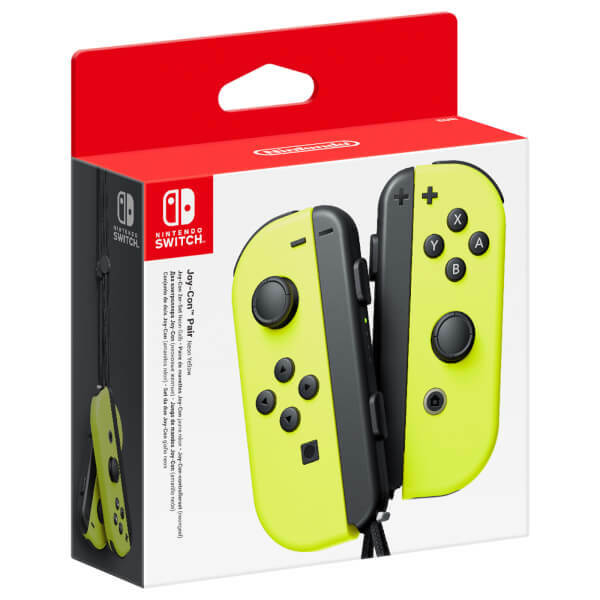 This set includes two neon yellow Joy-Con Controllers (Left and Right) and two black Nintendo Switch Joy-Con Controller Straps. But there’s more! 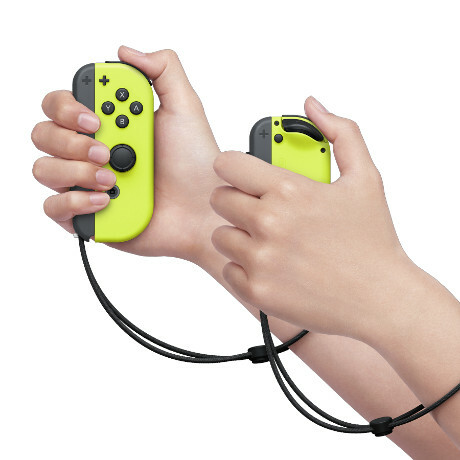 Imagine the Joy-Con is a glass containing ice cubes. 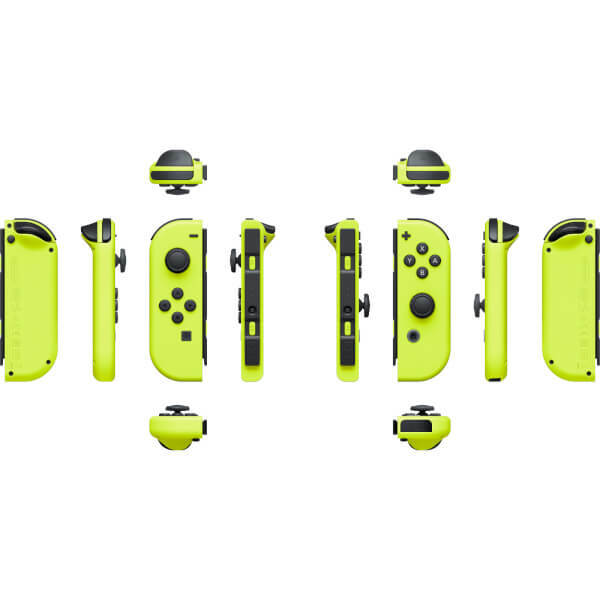 With HD rumble, when you move and tilt the Joy-Con you can feel the ice cubes clanking around. HD rumble feels so realistic that you can even tell how many cubes there are, almost as if you’re actually holding a glass in your hand! 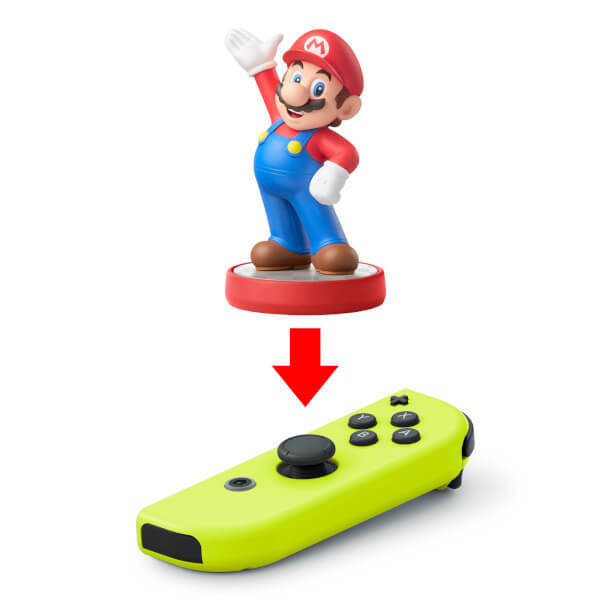 The HD rumble function included in the Joy-Con creates an immersive gameplay experience that isn’t possible with images and sounds alone. 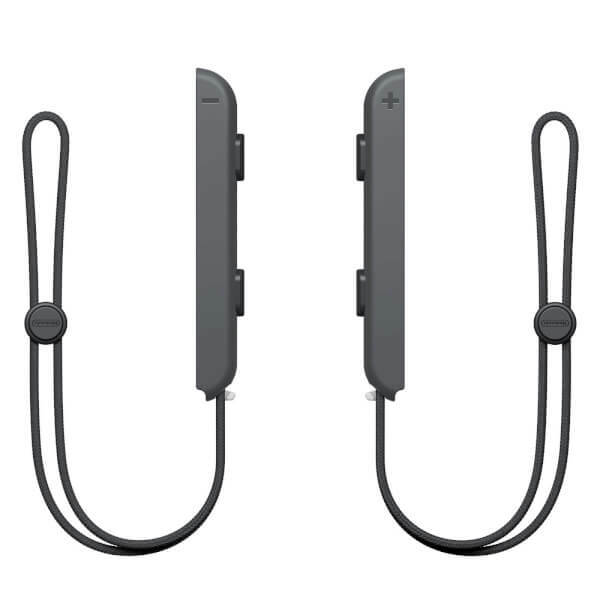 The IR Motion Camera in Joy-Con (R) can detect the shape, movement and distance of objects captured by the camera. 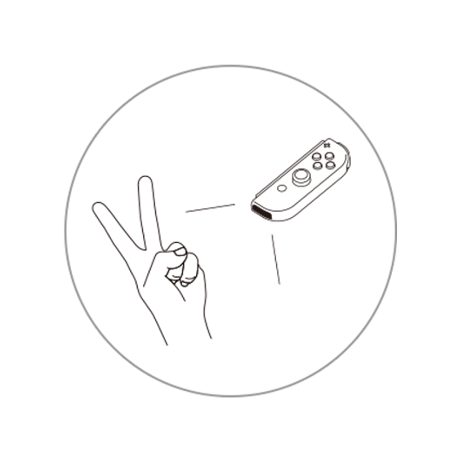 For example, it can recognise the shape of players' hands, such as when you make a rock, paper or scissors. With this feature, there are more gameplay possibilities than ever! 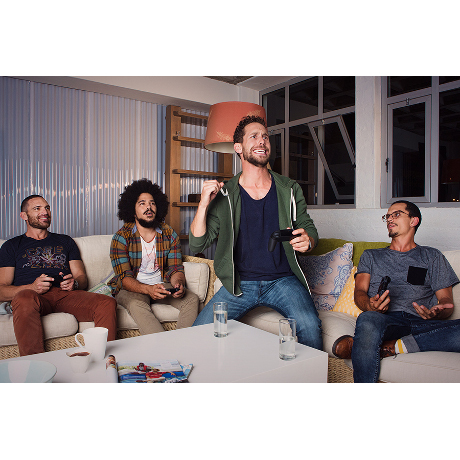 Up to eight controllers can be connected to a single console via Bluetooth wireless communication at any one time – this can be any combination of Joy-Con controllers and other controllers such as the Nintendo Switch Pro Controller (sold separately). 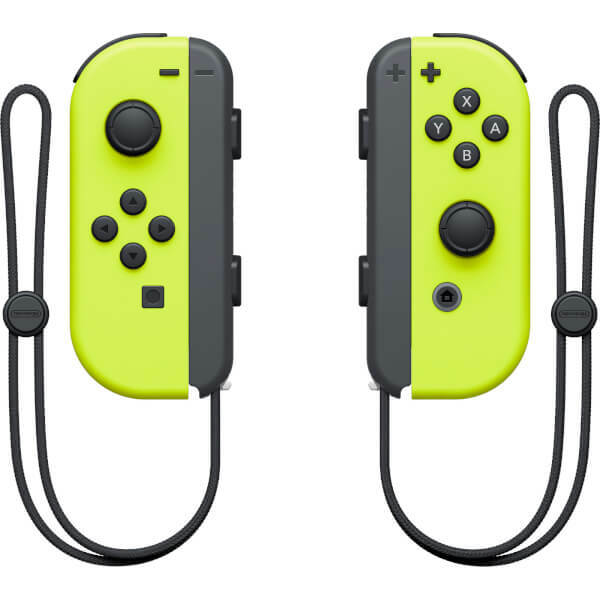 Joy-Con controllers can last for up to 20 hours on a single charge. 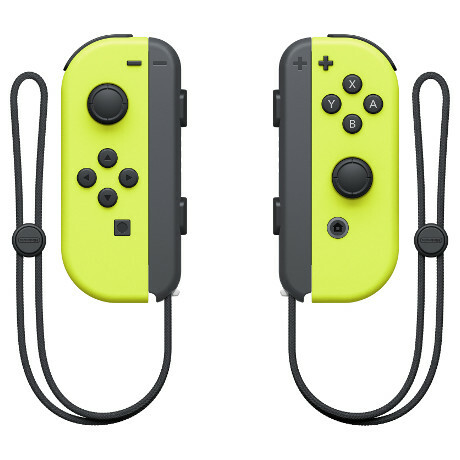 Re-connect the Joy-Con controllers to the console in order to recharge them, or you can also charge them by connecting to the Nintendo Switch Charging Grip. Excellent. Work great and love how they look on my Switch. Look and feel fantastic. 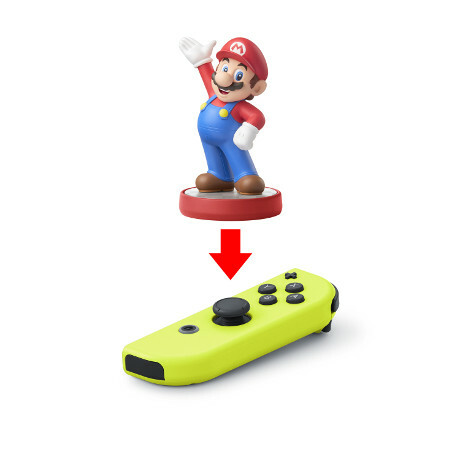 There was a bit of time where the left joy cons right arrow button was not registering but it appears to be now. Definitely too expensive though. 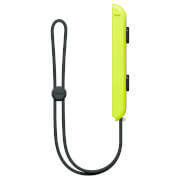 work perfectly and make the switch really stand out. Quite expensive for a controller but very happy with it other than that.